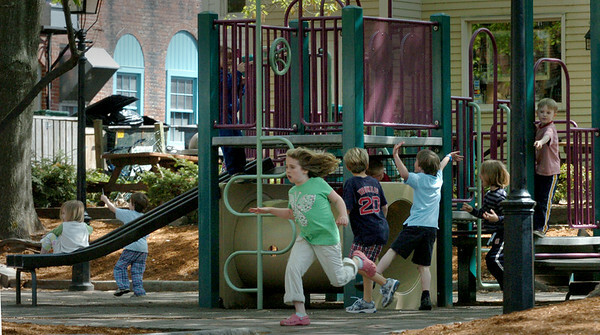 Newburyport: The Tot Lot on Inn Street in Newburyport has been full of energy as children and their parents have been there in force this week. The story should remain as such through the weekend as temperatures will be in the 70's. Bryan Eaton/Staff Photo Newburyport News Wednesday May 13, 2009.